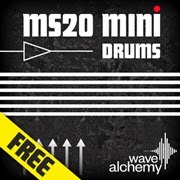 Synthesize Your Own Drum Sounds! "This is now the no.1 go to drum kit archive. Well organised and meticulously produced... This is the Daddy of all Drum sample collections. If you don't own this you should. Essential!"